We’re incredibly excited to announce that starting this weekend, Up at Noon is returning to IGN and YouTube! 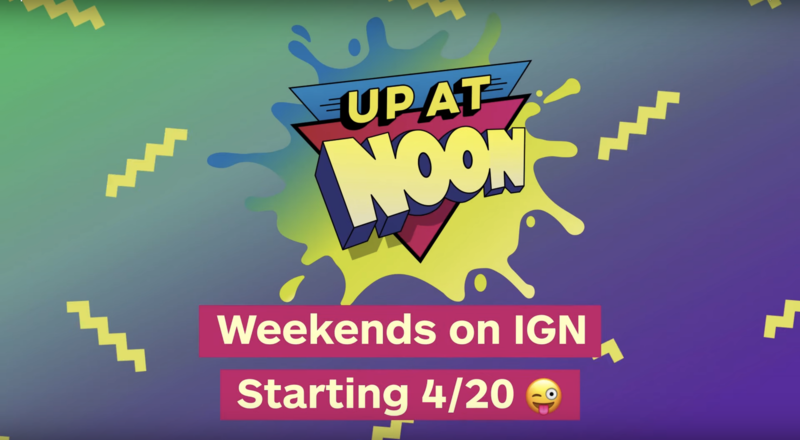 For years, Up at Noon has served as IGN’s weekly definitive pop culture variety show covering games, entertainment, toys, and more. After a brief hiatus (that felt like forever) and hundreds of requests, we’ve decided to bring the show back. We’re rebooting the format a bit but sticking with the show’s pledge to cover everything from Star Wars, comic book movies, video games, action figure and statue unboxings, celebrity interviews, and more – all through the filters of our weird, passionate, irreverent brains.